Tidal released the 13-track standard version this evening, and will be followed by the 16-track deluxe edition on January 29, reports Fader. 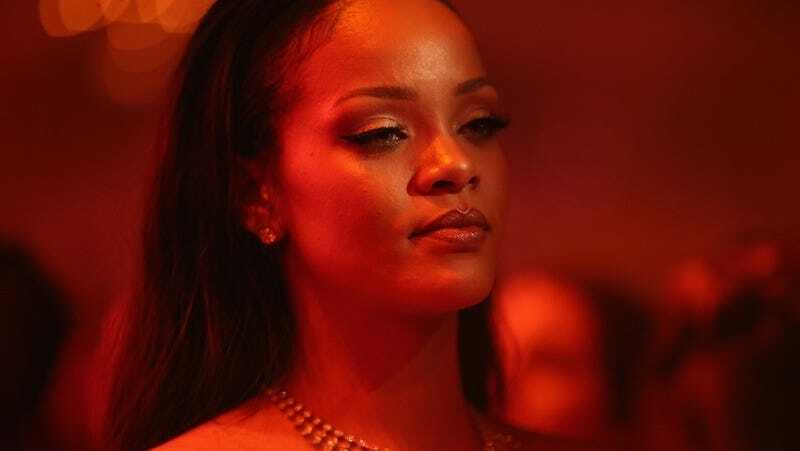 Rihanna’s eighth studio album includes “Work,” her collaboration with Drake which was released this morning, as well as a cover of Tame Impala’s “New Person, Same Old Mistakes.” The album will be available exclusively on Tidal for one week. The album will be available to stream for all Tidal subscribers, and there will be a limited (but fairly high) number of complementary downloads available of the album that will be first-come, first-serve, regardless of whether a listener is a Tidal subscriber or not. To get a code that’s good for one free download, fans will have to work their way through all eight rooms featured on ANTIdiaRY.com – the digital experience created by the singer in partnership with Samsung. Or, you can skip all that and use this shortcut, provided by fans on Twitter. ANTI also includes collabs with Timbaland, the Weeknd, The-Dream, Travis Scott and more.